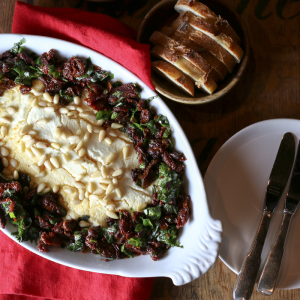 This easy no-cook appetizer recipe was published in the December 1997 edition of Bon Appetit. My friend Marsha Smart, a food writer and cooking instructor from Houston, introduced me to them. The technique for making them can be applied to make appetizers using a variety of fresh and seasonal ingredients. Check out my recipe for Mango And Goat Cheese Rollups for another version. 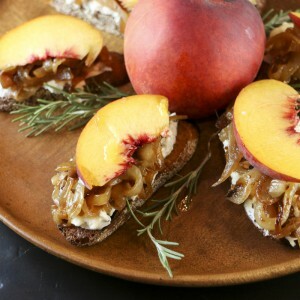 Or get creative and make your own version using peaches, nectarines, pineapple, dried apricots or roasted tomatoes. 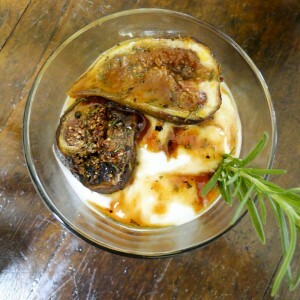 Easy and delicious no-cook, gluten-free, fig appetizers that can be made in advance slightly modified from the original recipe published in the December 1997 edition of Bon Appetit. Put the lemon zest and juice in a small bowl and whisk in the olive oil. Season with salt and pepper to taste. Set aside. Lay the prosciutto out in rows on a clean counter. Spread each slice with a thin smear of goat cheese. Arrange the fig slices over each piece of goat cheese-covered ham, covering evenly, but stopping 2-3 inches short of one end of the prosciutto strip. Arrange the arugula on top of the figs so that the edges of the arugula project just beyond the edge of the ham slice, stopping a couple inches short of one end of the ham slice. Drizzle each strip with a little of the lemon vinaigrette. 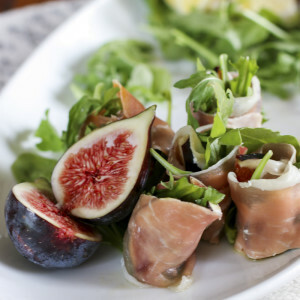 Starting at the end of the prosciutto slice covered with the figs and arugula, roll up the slices to create a roll. Use the tail end of the slice with just the goat cheese to secure the roll together. Slice each roll in half crosswise and place cut-side down on a serving platter. Rolls can be eaten immediately or refrigerated for a couple hours. See the slideshow in my recipe for Mango Goat Cheese Rollups for visual instructions on how to construct these rollups.If fresh figs are not in season you can use thinly sliced dried figs.